Los Angeles fans of Shaun Of The Dead director Edgar Wright are in luck; L.A.’s Cinefamily is organizing a rare showing of his debut film, 1995’s A Fistful Of Fingers, just in time for the movie’s 20th anniversary. 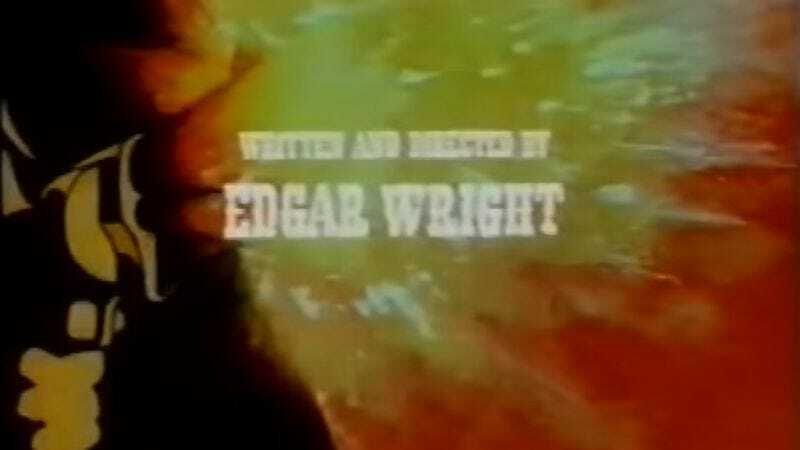 In case the title didn’t clue you in, Fingers is a parody of Westerns, showing Wright already operating in the genre-homaging space he’s spent so much of his career exploring. Billed as “The Greatest Western Ever Made… In Somerset!”, the comedy stars Graham Low—a.k.a. The Living Statue from Hot Fuzz—as a cowboy attempting to avenge the death of his beloved horse. Wright has hinted in the past that he’s a little embarrassed of his freshman effort, despite the fact that it helped introduce him to the world of British TV, paving the way for Spaced and his subsequent film career. That embarrassment—which may or may not have something to do with the film having characters named “Running Sore,” “The Pint-Sized Floozey,” and “Yanks With A Fist”—might help explain why the movie has never been released on DVD, despite Wright becoming a household name in a very particular kind of house. Anyway, the California-based can judge the film for themselves on November 21, when it’s shown at Cinefamily, while the rest of us—the law-abiding ones without access to a complete VHS set of British Western comedies, anyway—will just have to content ourselves with the movie’s flashily animated opening credits, available on YouTube.